15 Minutes is a weekly interview podcast with the biggest names in the global security space. There are many issues on the world stage, but on this episode of 15 Minutes, we focus on two of them: national security and economy. Although not often associated with one another, economic and national security interests frequently align. How does the U.S. generate the funds to pay for military power? And in turn, how do wars and terrorist attacks affect a country’s economy? Tyler Cowen, economic professor at GMU spends 15 Minutes with The Cipher Brief’s International Economic Analyst Fritz Lodge to get to the bottom of some of the most pressing concerns, namely, has the U.S. lost its position of global economic leadership, and does it matter? In September 1986, American Joseph Cicippio was abducted in Beirut by captors thought to be linked to Hezbollah. Held until his release in December 1991, Joe was moved to more than 20 locations and chained to another American hostage for four of those years. Here, he spends 15 Minutes with Leone Lakhani and describes how he coped, his views on U.S. hostage policy, and why he has no bitterness towards his captors, even after his ordeal. 15 Minutes is a weekly interview podcast with the biggest names in the global security space. At the young age of 33, Brett Velicovich has probably held more positions than someone could in a lifetime: Former US Army Intelligence, humanitarian, business owner, author and drone expert. Brett recently released his book Drone Warrior: An Elite Soldier’s Inside Account of the Hunt for America’s Most Dangerous Enemies. And the title really does say it all, offering readers an inside view into the world of drone warfare, and the toll it takes on the people who control the UAVs. 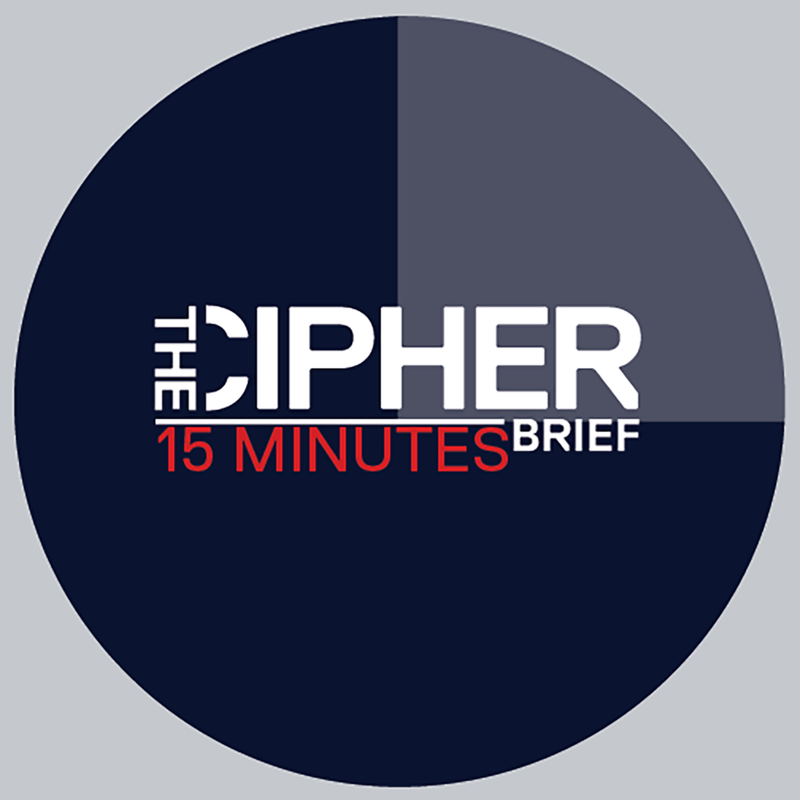 In this episode of 15 Minutes, The Cipher Brief’s Bennett Seftel goes even deeper with Brett, examining the importance of the drone program in US military counterterrorism efforts, what drove his dedication, and the recent news of a man Brett spent most of his career hunting down: Abu Bakr al-Baghdadi. 15 minutes is an interview podcast with the biggest names in the global security space. Whether it’s the Equifax data breach, border security or Russian state-sponsored election hacking, identifying current and emerging technologies to secure public and private infrastructure is a critical priority for the U.S. government. The Cipher Brief’s Deputy Director of Analysis, Bennett Seftel spends 15 Minutes with U.S. Representative Will Hurd (R-TX) who talks about takeaways from his years working as a CIA operations officer and offers his thoughts on current issues: why a border wall with Mexico and the most expensive and least effective way to do border security, the North Korea crisis and the adversarial U.S.-Russia relationship. 15 minutes is an interview podcast with the biggest names in the global security space. A resurgent Russia, along with broader economic and social trends, is shaking up politics across the U.S. and Europe. Populist parties, like Germany’s Alternative für Deutschland (AfD), that are supported by Vladimir Putin’s Russia, are challenging the status quo. The AfD came in third in Sunday’s election in Germany, significantly gaining on the two major parties and winning seats in parliament for the first time. For now, the political center in Germany still holds, with Chancellor Angela Merkel, a Christian Democrat, winning a fourth term. This week, The Cipher Brief’s Kaitlin Lavinder spends 15 minutes with Rüdiger Lentz, Executive Director of the Aspen Institute Germany. Here, they talk about the rise of populism in the West and how it’s impacting liberal democracies. Military and intelligence professionals around the world view cyberspace and the internet differently. In the West, cyberspace is thought of as a facilitating agent, one that can be leveraged for espionage, disruption and sabotage. In more autocratic regimes, cyberspace is a mode of political control and influence of narratives, both domestically and abroad. To get deeper insight into the matter, the Cipher Brief’s cyber and technology analyst Levi Maxey spoke with Alexander Klimburg, Director of Cyber Policy and Resilience at the Hague Centre for Strategic Studies and author of a new book called The Darkening Web: The War for Cyberspace. Levi and Alexander discuss his work, the threats facing the West, and what the current conflict in cyberspace looks like. 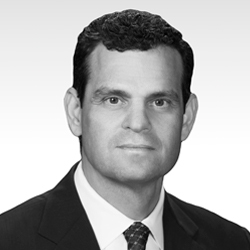 On the 16th anniversary of the September 11th attacks, Leone Lakhani spends 15 minutes with Michael Leiter, who was Director of the National Counter Terrorism Center from 2007 to 2011. Mike worked closely on the hunt for Osama bin Laden, the Al Qaeda leader behind the 9/11 attacks. Here, he shares rare insight on the operation that killed bin Laden in May 2011. 15 Minutes is a weekly interview podcast with the biggest names in the global security space. In Part II of Suzanne Kelly’s interview with Bob Work, former Deputy Secretary of the Department of Defense, Suzanne digs deeper into the challenges Bob faced in ushering new technology into the Defense Department – as well as the relationship between the public and private sector – when it comes to innovation. 15 Minutes is a weekly interview podcast with the biggest names in the global security space. Artificial Intelligence, cyber warfare, C4I network grids: just a few of the things that Bob Work was keeping the Department of Defense updated and innovating on during his time as the Deputy Secretary of Defense. This week, The Cipher Brief brings you a special treat for the holiday week, two podcast interviews between Bob and CEO & Publisher Suzanne Kelly. In Part I, Bob and Suzanne discuss some of the biggest challenges he was facing in his position, most especially, convincing the culture of the Department to accept change. 15 Minutes is a weekly interview podcast with the biggest names in the global security space. This week Leone Lakhani spends 15 Minutes with Javier Peña, a former drug enforcement agent, who was instrumental in bringing down the notorious Colombian drug lord Pablo Escobar. Peña and his partner Steve Murphy – both depicted in the Netflix series Narcos – track the life and eventual demise of Escobar, as consultants on the show. Season 3 of Narcos enters a new chapter in the war on drugs, following the brutal Cali Cartel. While Peña didn’t consult on this season, he did track the Cali traffickers during his career. Here, he tells Leone about the show, his experiences, and what he learned from the hunt for Escobar.